Good health is the key to thinking clearly and improving your efficiency. 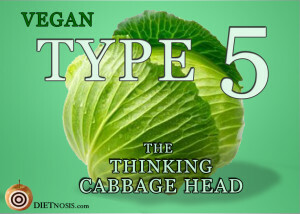 The easiest path to good health is to adopt a vegan diet. Check out the evidence and decide for yourself. Read the book The China Study or watch the movie Forks Over Knives. A diet, based entirely of plants, low in fat, high in fiber, prevents and reverses heart disease, diabetes and obesity. And it reduces your risk for many cancers including prostate, breast and colon. Another incentive is that a vegan diet can be very convenient. Grabbing fruit, nuts or veggie sticks is an easy and healthy way to snack while working. It can also be very cheap too, especially if you include beans/lentils and brown rice into your diet. Given the rising cost of health care, eating a vegan diet can also be seen as an investment. Even though you may not be concerned about health right now, think about how diabetes causes blindness, obesity is linked to Alzheimer’s disease, and about how heart disease is our nation’s leading cause of death. Remember, veganism is the easiest, most evidence based, worry-free way to become healthy. That way instead of worrying about your health you can think about bigger and better things. I want to learn more about Enneagram Type Five!